North of Venice lies the wine region of Prosecco DOC di Conegliano-Valdobbiadene. This is the land of Palladian villas and gently rolling hills covered in vines and noble manors. The darling village of Conegliano is full of 15th to 18th-century palaces, many of them with Venetian Gothic façades. Vineyards surround the town, mainly of the Prosecco grape, used to make the famed Italian bubbly. We have organized this luxury wine tasting excursion for those of you visiting Venice who would love a pampering wine experience. On your tour, you will travel by chauffeured Mercedes and you will have your own wine guide for the day. 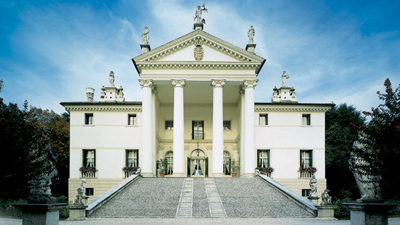 Visit gorgeous wineries such as Bisol and Villa Sandi in Crocetta del Montello, a spectacular architectural masterpiece. You can compare and contrast the many faces of Prosecco, from bruts to Pinot Neros and even grappas made from Prosecco. After a morning of wine tasting, you will enjoy lunch in a delightful spot with your guide. Specialties of this region include polenta, chiodino mushrooms, risottos flavored with wild herbs, delicate ‘tortelli’ and a range of cheeses like Morlacco, Casatella, Caciotta, and Pressato. Finally, before returning to Venice, enjoy an excursion to Treviso, a wonderful little town. Treviso has ancient canals, palaces with flower-lined balconies and cute cafés. Upon your return to Venice, your guide will give you a special Cellar Tours gift. 9.45 a.m. Your private guide will meet you in your Venice Hotel and then you will go to Piazzale Roma where your private chauffeur will collect you. Today is a food, wine and culture extravaganza. 11 a.m. Your first stop will be at one of the most important wineries in Valdobbiadene. Your host will greet you warmly and you will enjoy a private tour of the prestigious wine estate. This is where the world famous Prosecco bubbly comes from and you will taste various types of bubbly. 1 p.m. You will enjoy a delightful rustic lunch in a charming trattoria when you will taste superb dishes such as polenta with funghi, gnocchi in a wild rabbit sauce, pheasant braised in a mint sauce, and homemade desserts- exquisite and refined. After lunch, enjoy a digestive walk in a cute wine village before visiting your second cellar of the day, a Palladian Villa dating back to 1622! Now, this beautiful villa also serves as a winery and you will visit the estate, gardens and wine caves, before tasting some excellent wines. Before returning to Venice, you will stop for a short while in Treviso, a lovely little place recently brought into the spotlight in the book “The Broker” by John Grisham. Arrive in Venice approximately 7:30 p.m. And this concludes your fascinating day excursion from Venice. Where do I start? Wow what a trip!